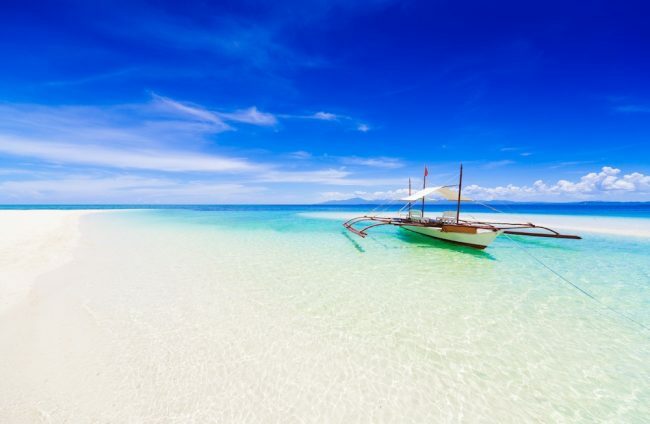 Thinking of taking a trip to the Philippines but not quite sure it’s right for you? Setting aside the excellent value on offer, the luxurious resorts and boutique hotels, here are 18 of my top reasons why it probably is. Truth is, every time I go, I find more amazing places to explore, meet more wonderful people, and when I leave all I can think of is planning my next visit. 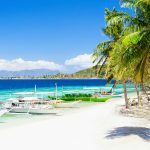 If you let me go on long enough, I’d share far more than 18 reasons to visit the Philippines but I had to stop this list somewhere. When I first visited the Philippines, I intended to stay 30 days, the length of my visa-free entry. Within four hours, I knew I’d find a way to extend. The people were simply too wonderful for me to go anywhere else. Filipinos have a well-earned reputation for their friendly, welcoming charm and you’ll find it everywhere you turn. English is widely spoken so communication is easy and if you venture out on your own or by public transportation, don’t be surprised if you find yourself deep in conversation with new friends. 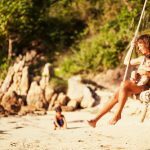 Most of the country’s 7,107+ islands are uninhabited so island-hopping boat rides with snorkel gear and a grilled fish lunch on the beach are a great way to see a handful in one go. I love the El Nido options but you’ll find these off countless other islands. 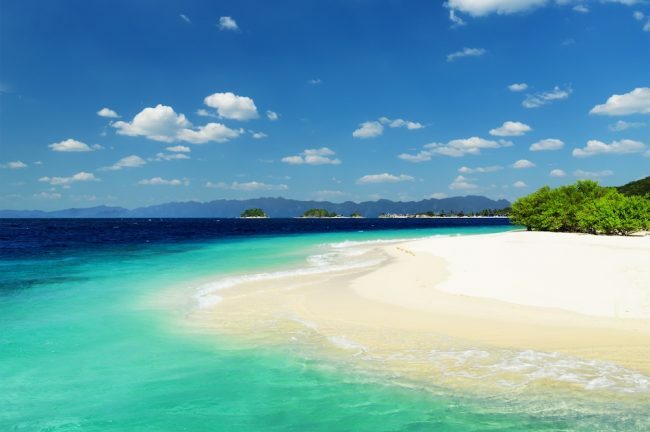 Two of my favorite places to stay for island hopping: Lagen Island and Busuanga Bay Lodge. 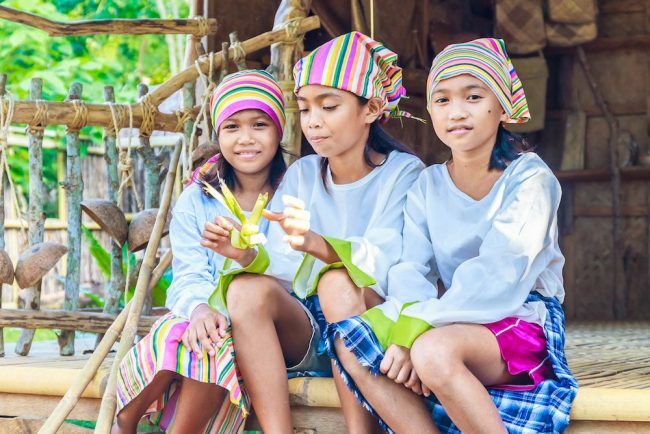 In the Cordillera mountains north of Manila, tribes avoided colonization efforts and maintained a number of their traditions. 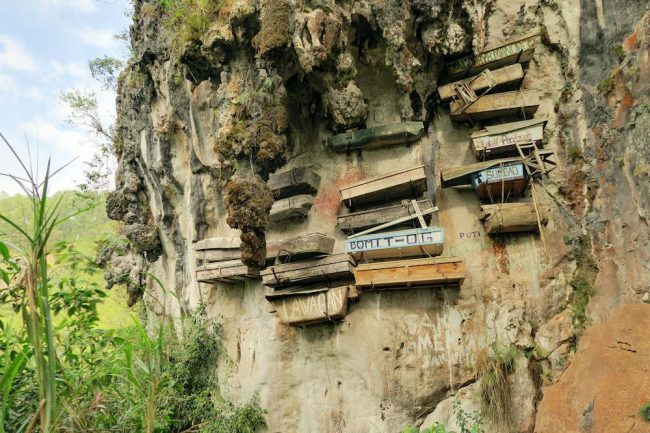 In Sagada, some people still build their own coffins before they die and on the outskirts of town, you can look up at colorful resting places mounted on the side of a cliff. 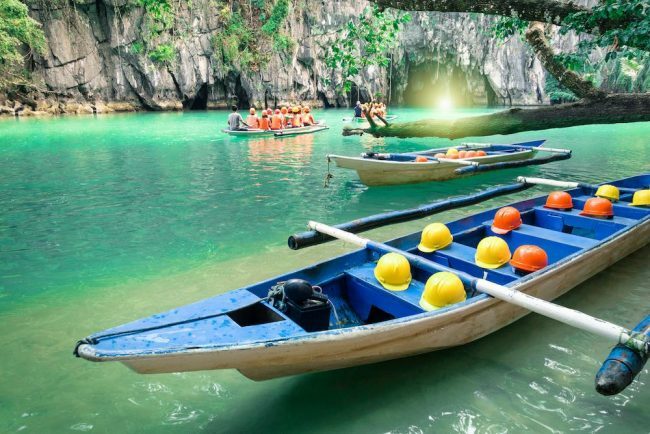 Voted one of the new Wonders of the World, a navigable river flows through soaring caves on the island of Palawan near Puerto Princesa. This is no secret spot, it’s always filled with tourists, local and foreigner alike, so the experience isn’t just about gliding through the cave, it’s also about enjoying tourism Filipino-style. 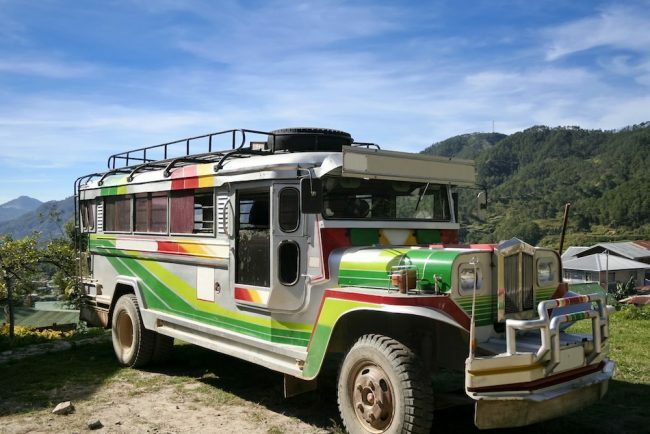 Modified jeeps with long benches in the back and colorful paint jobs are one of the country’s main forms of public transportation. Rides are cheap, the people are friendly, and they’re unlike any other ride in the world. Whether it’s your first time or your thousandth, diving in the Philippines can spoil you for life. Thresher sharks, rays, whale sharks, turtles, mantis shrimp, octopuses, pipefish, seahorses, and so much more ply the waters of the Philippines. On top of that the shipwrecks of Coron, now artificial reefs covered in coral, offer a chance to explore a bit of WWII history in a wholly unique way – complete with lobsters. 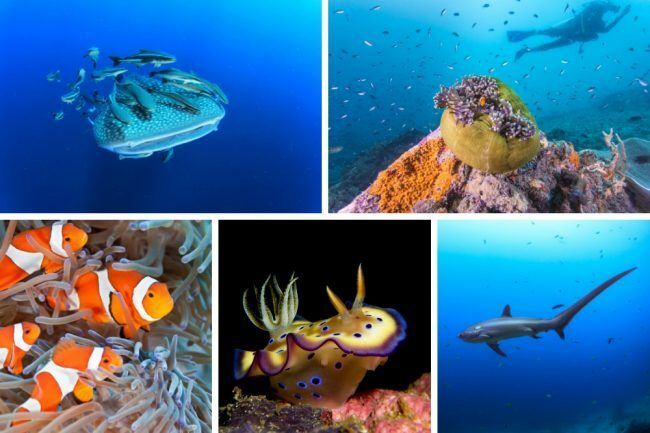 With warm water temperatures and good visibility, the diving here is some of the best in the world. 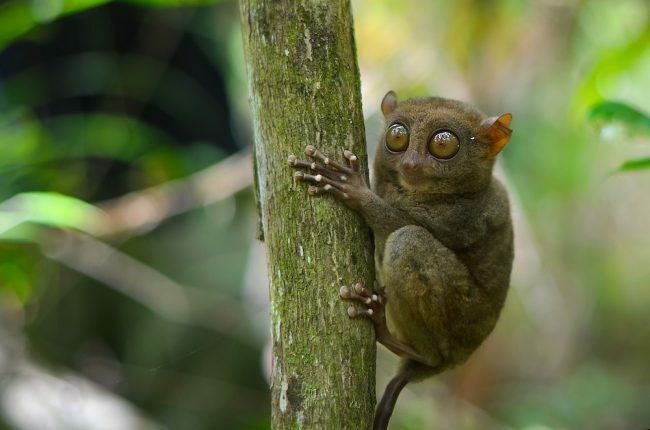 One of the smallest primates in the world, tarsiers are hard to spot in the wilds but at the Tarsier Conservation Centre on the island of Bohol, these little animals come and go freely and the guides walk around in the early morning to find where they’re sleeping. Which means when you turn up, the guides can walk you through the forest directly to the resting critters. You won’t find that in Borneo! In dry season when the earth is brown, some say these look like chocolate drops. Whatever you think they resemble, they are unique. 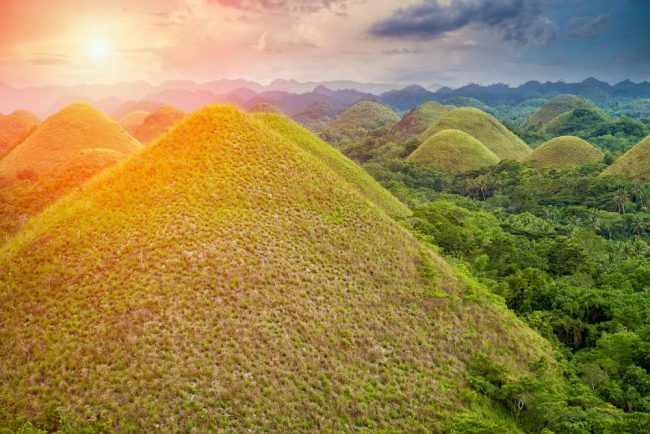 More than 1,200 of the mounds are grouped together on the island of Bohol and a viewing platform makes it easy to survey the region. To see the chocolate hills and tarsiers, we recommend staying at Amarela or Amorita, both charming boutique hotels in nearby Panglao. 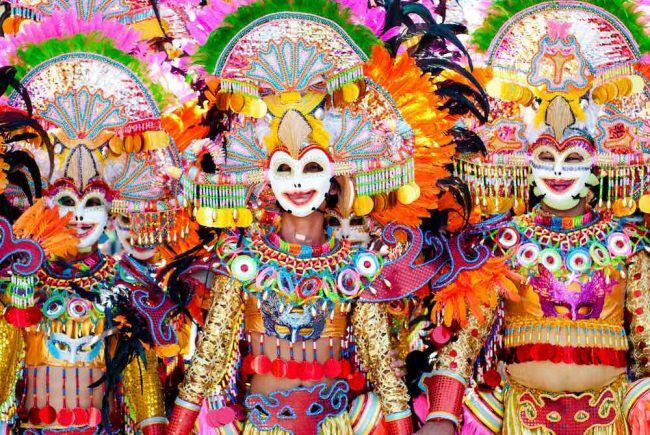 Bright masks and costumes, dancing in the street, festivals are beloved in the Philippines and each one has its own story. If you want to catch one, you’ll need to book well ahead as accommodation fills, traffic is backed up, and you have no choice but to relax into island time and join the celebration. 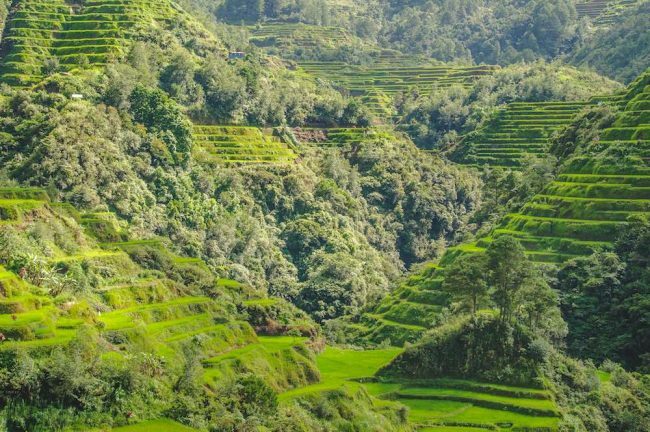 Sure, you can see rice terraces throughout Southeast Asia but when you stand in the amphitheater of hand-carved terraces in Batad or look out over the Banaue terraces, you’ll forget about the rest. This is a jaw-dropping marvel of mankind’s ingenuity and perseverance. The Spanish left a mark on the Philippines – you’ll hear it in the language, see it in the architecture, the food, and the religion. Yet nowhere is it as evident as in the heritage areas of Taal and Vigan. 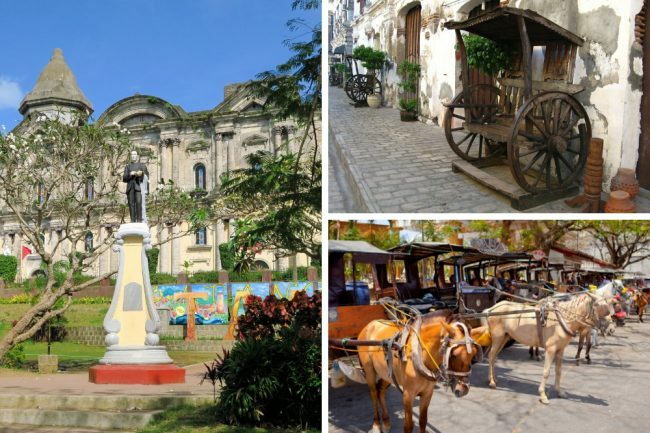 In Taal, just two hours south of Manila, you can see the largest cathedral in Asia while Vigan, far in the north, still boasts cobblestone streets and horse-drawn carriages. If you’re looking for a place to stay, I’m a fan of Paradores del Castillo. 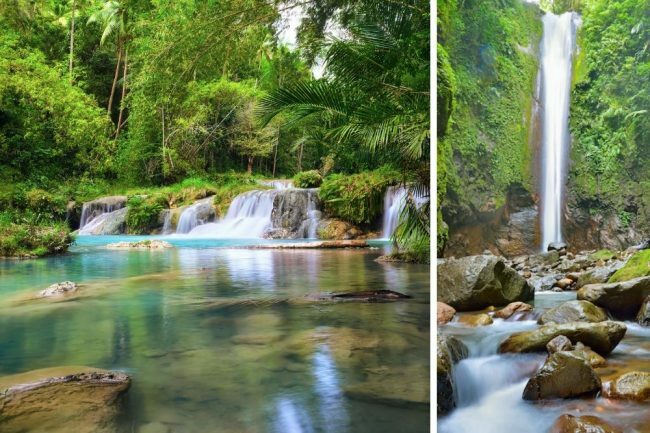 It’s hot and humid in the Philippines which makes swimming below a waterfall the ideal way to cool off when out trekking, sight seeing, or even just enjoying a leisurely stroll. Kawasan on the island of Cebu and Cambugahay on Siquijor may be the most famous but I also love Casaroro in Negros and Tappiyah in Batad as these are an excellent reward for the scenic treks to reach. A designated national living treasure, Whang-Od Oggay was the first female tattoo artist in the country, trained to mark warriors returning from battle and decorate the women of her tribe with ornate designs. 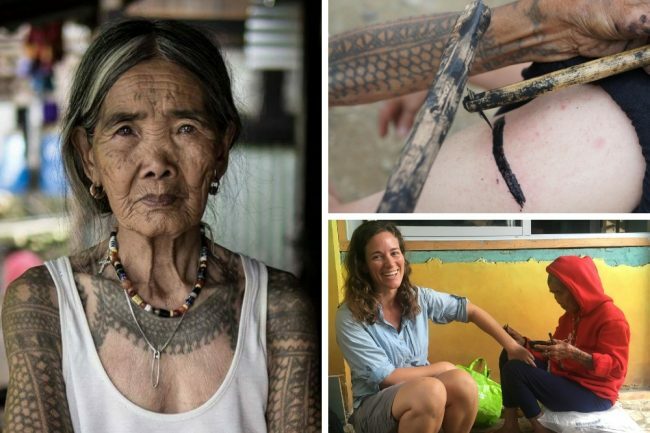 Around 100-years-old, she still tattoos visitors using traditional techniques and is a genuine character, to boot. You can only reach her on foot so visiting is not for the faint of heart but if you head uphill to see her, you’re in for a memorable afternoon. Even if you don’t get a tattoo! 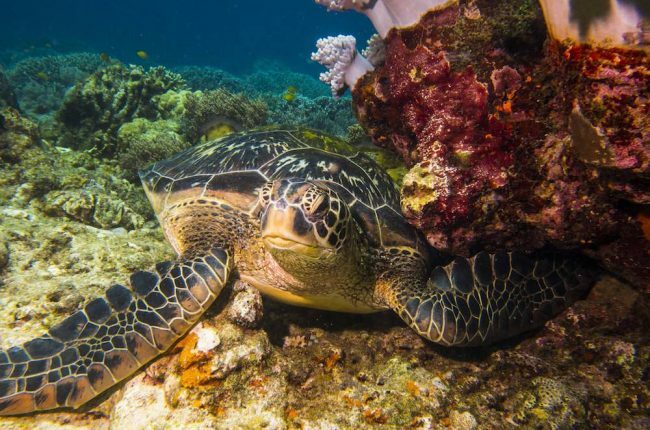 Lined by one of the oldest protected marine reserves in the country, Apo Island is home to countless turtles and some of the best diving in the Philippines. Take a day trip from Dumaguete or Siquijor to snorkel with the turtles or slide into an easy drift dive and marvel at the healthy reef teeming with life. If you’ve ever wanted to climb a volcano without exhausting yourself, Taal is the one for you. On foot or horseback you can reach the summit in well under an hour and look at the crater lake with its little island. Or turn around and look across a lake back at the bigger island you were just on. 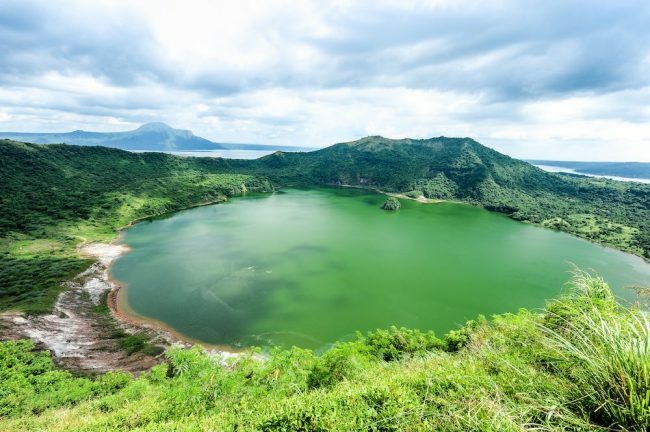 Taal Volcano is home to an island in a lake on an island in a lake on an island. Oh yes, and it’s active so keep an eye out for steam vents. Who doesn’t love a good spot of sand and an ocean view? 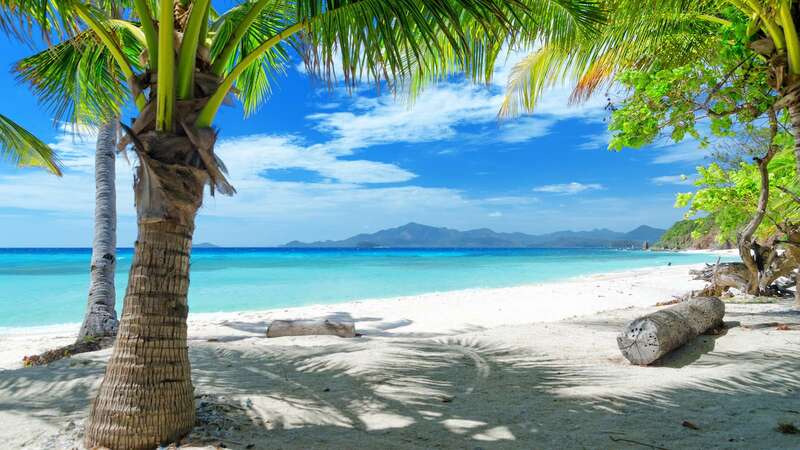 The powdery whites of Boracay and Bohol, volcanic black in Negros Oriental, soft creams of Palawan and nearly every other island in the country: the sands of the Philippines offer some of the best beaches around. Take your pick, dig your toes in, grab a rum cocktail or a San Miguel, and kick back. Sorry Thailand with your mango sticky rice, you’ve got nothing on the mangoes in the Philippines. Juicier and sweeter than any other mangoes, I’d call these the fruit of the gods. If you arrive when they aren’t in season, grab a bag of dried Cebu mangoes to get an idea of just how tasty these golden juice bombs are. 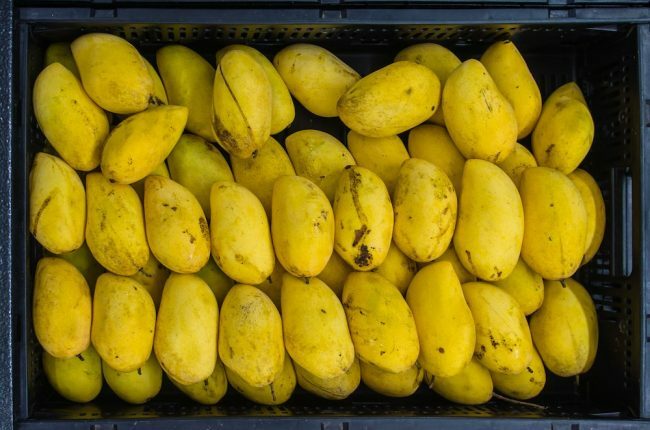 If you’re really on the hunt for amazing mangoes, you’ll need to visit Guimaras, home of the sweetest mangoes in the world. Stop by in May for the annual festival celebrating the province and the fruit. 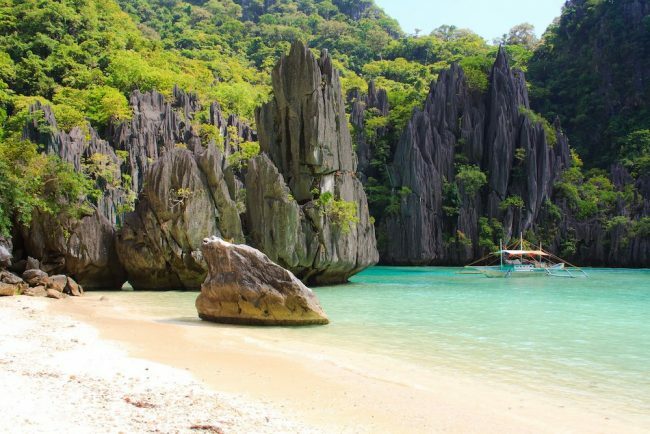 The Philippines is gaining in popularity making it harder to find those off-the-beaten-path gems but they still exist if you know where to look. Head to quiet eco-hotels and retreats like Qi Palawan, Al Faro, and Danjugan Island or luxurious resorts like Amanpulo or Pangulasian. The crowds will disappear and it will feel like you’ve found your own island paradise. If you’re interested in a holiday in the Philippines, drop me an email or call me at the London-based boutique tour operator, Fleewinter at (UK) 020 7112 0019. I’d love to plan you an amazing getaway in this country I can’t get enough of.